Application is designed to rename specified files and directories according specified name, last file or directory modified date and time and rename mask. Give the STOP to manual files rename! Simplify your work! 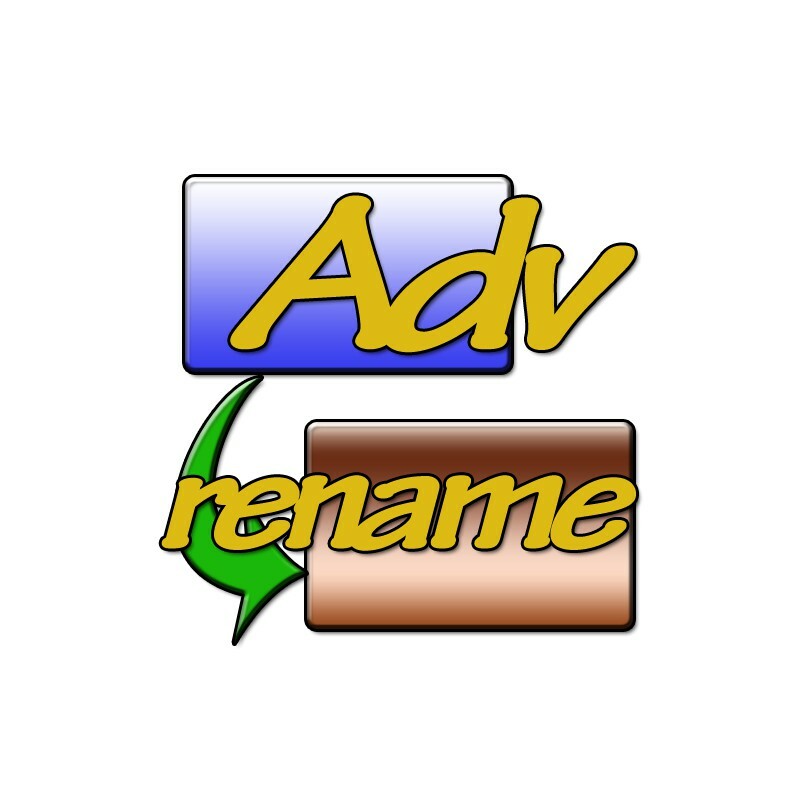 Do you know that boring time with manual selection of files or directories you want to rename? It's over now! This application will safe your time and simplify your work. 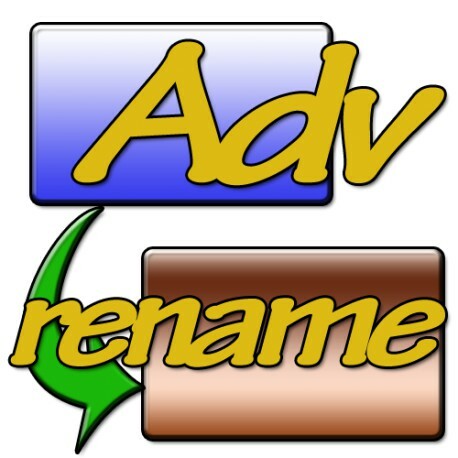 Application is designed to rename specified files and directories according specified name (wild characters as ? and * are supported), last file or directory modified date and time and rename mask. 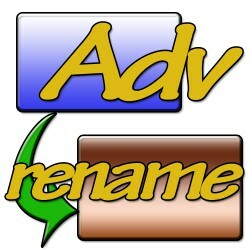 File or directory name to rename could be case sensitive or case insensitive (wild characters as ? and * are supported). 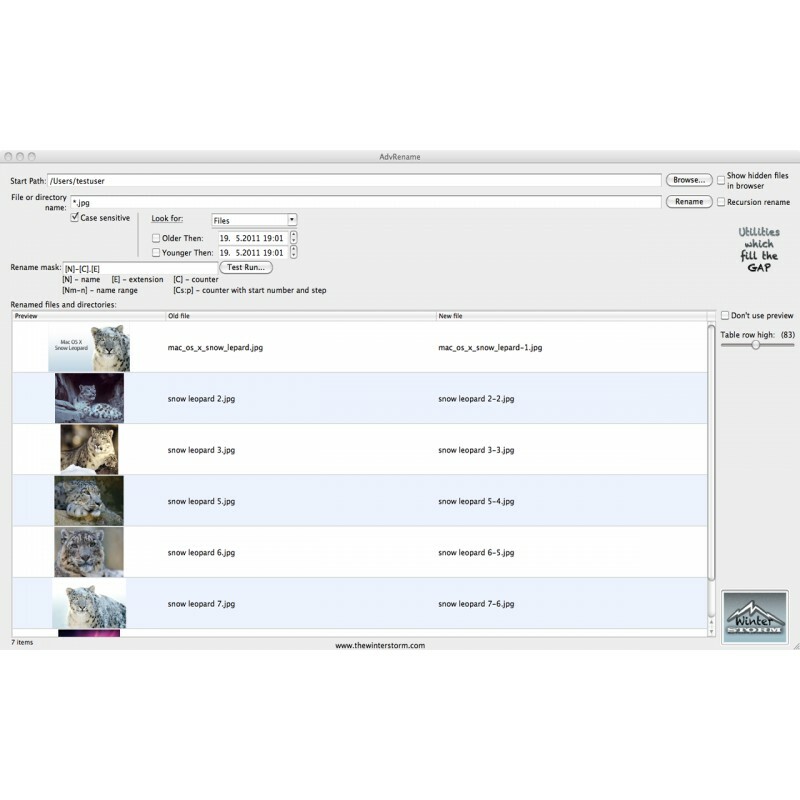 Selection for only files or directories or both. Older than - specifies the latest date and time, so the file or directory has to be older than that date and time. Younger than - specifies the earliest date and time, so the file or directory has to be younger then that date and time. 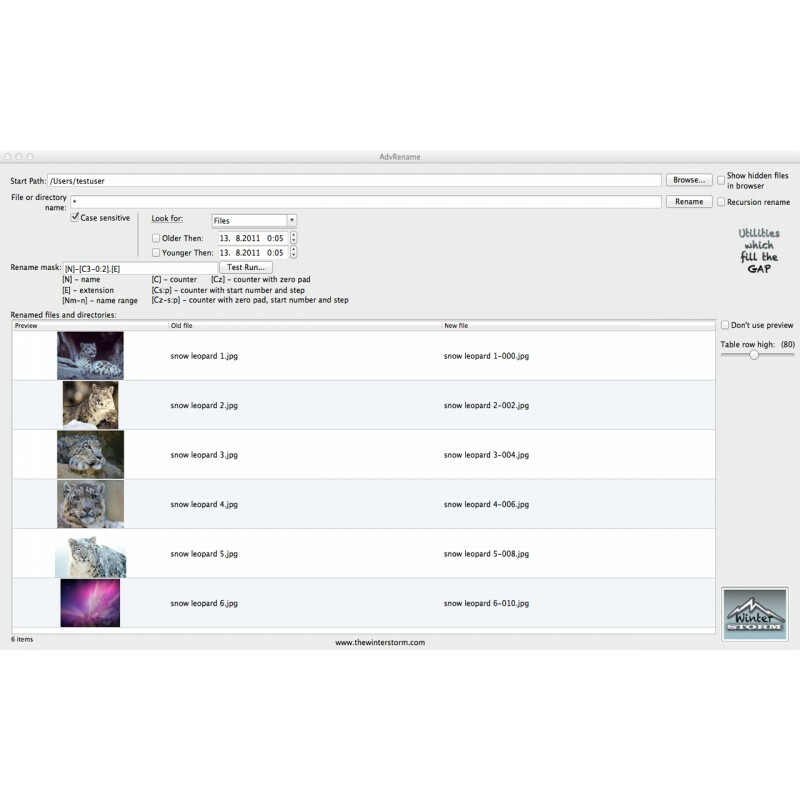 Table View with Preview functionality - with ability to setup row high and hide preview of renamed files. Mac OS X Mountain Lion (10.8) compatibility. Please read the application HELP after installation.